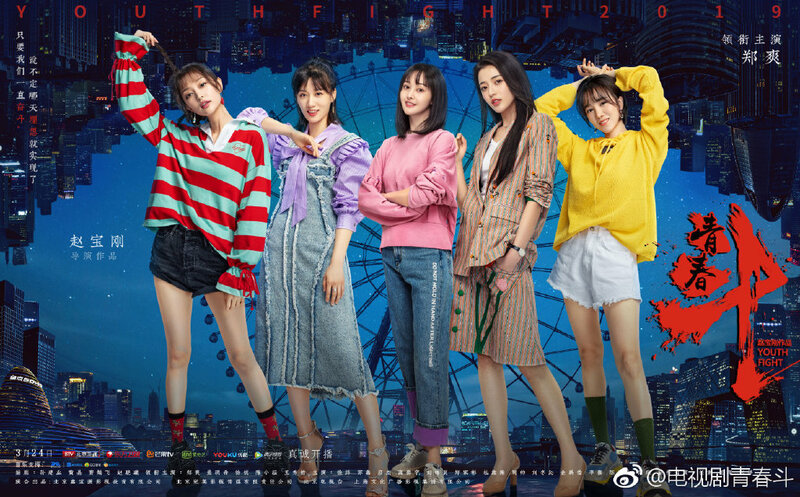 Being a shorter drama, Youth Fight feels like it flew by with only a few days left until the finale. The show has managed to move up one spot from previous week rankings to claim the top spot online. Nice To Meet You continues to lead primetime tv followed by Pushing Hands and Youth Fight though overall numbers are considerably lower than when All Is Well was on the air. 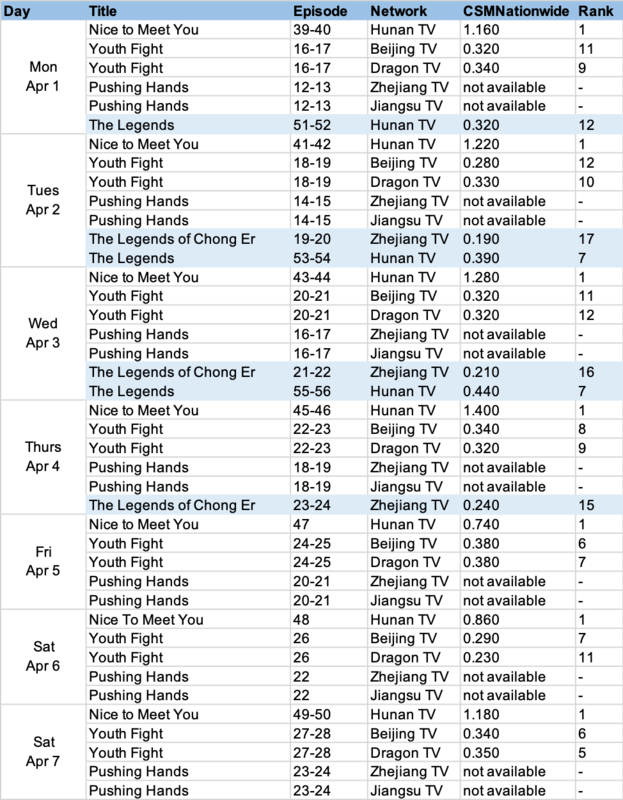 The Legends ended its run with CSM55 ratings of 0.68% on average. It placed in 8th based on online rankings. The Legend of White Snake and My Poseidon which premiered a day apart as web dramas have landed in 6th and 7th. With The Brightest Star in the Sky currently on the air, Huang Zitao makes the top 10 celeb list followed by Zhang Mingen who is the handsome leading man in both Nice To Meet You and Destiny's Love.